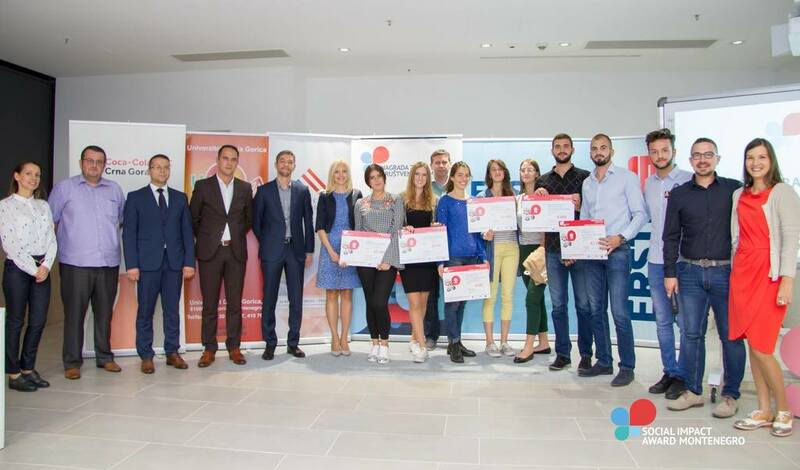 The three student teams became the Montenegrin winners of the largest European program for supporting the development of social businesses. All winning teams receive expert mentoring support, a trip to the annual International Summit Award for Social Change and start-up capital for starting a business, which is 1.500 Euros from Erste Bank Montenegro and 500 Euros from Coca-Cola HBC Montenegro. Common to all winning ideas from different parts of Montenegro is a strong social component that shows the commitment to changing the society in which they live. Among the six teams of finalists, the votes of the online community were selected one winner, while the other two winning ideas were decided by the members of the professional jury of the Prize for Social Change. The victory in the voting of the online community was taken by a team from Ulcinj who proposed an idea called “Keeping pets”, that is, establishing a pets service while the owners are on holiday. The jury included in the winners a team comprised of students from several cities of Montenegro, who presented an idea called “Sell”, which wants to offer a cheap solution for purifying the air in the homes of the inhabitants of Montenegro living in the polluted environment. And the second winning idea by the selection of the jury has a pronounced component of environmental protection. This is a team of students from Podgorica who presented the idea of ​​”Needle and thread” and want to start the business of creative recycling of old objects, turning them into objects with a new aesthetic and usable value.